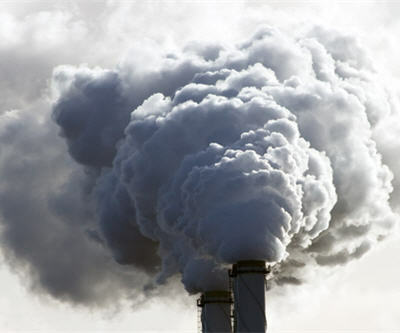 Scientists have identified a cheaper and more permanent solution to removing excess carbon dioxide from the atmosphere. Their work focused on using carbon mineralization to form solid carbonate minerals, report Phys.org. Mineralization — a reaction between the atmosphere and minerals — occurs naturally but slowly. In the end, it forms solid carbonates which remain stable for millions of years. Plenty of raw material is available that could remove the carbon dioxide from the air. Researchers have developed a method to speed up the process in an efficient and carbon-neutral way. 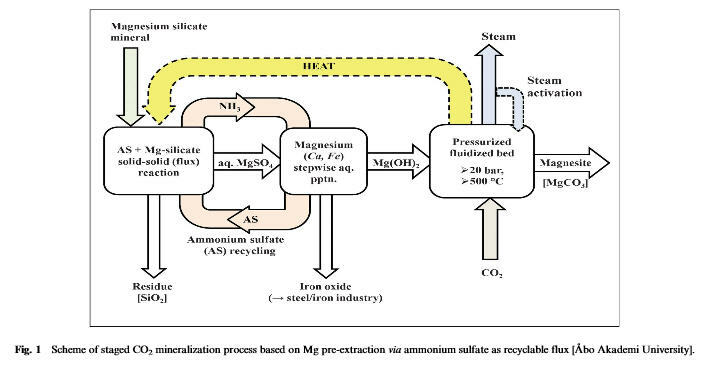 They conducted an experiment that used ammonium salts to accelerate the carbon mineralization in serpentine rocks rich in magnesium silicate resulting in magnesite, as well as an iron oxide by product. The research is a joint project between the Agency for Science, Technology and Research's Institute of Chemical and Engineering Sciences in Singapore, the National Junior College of Singapore and the Abo Akademi University of Finland. Their research findings — which can be seen here and here — have been published in the chemical sciences journal RSC Advances.